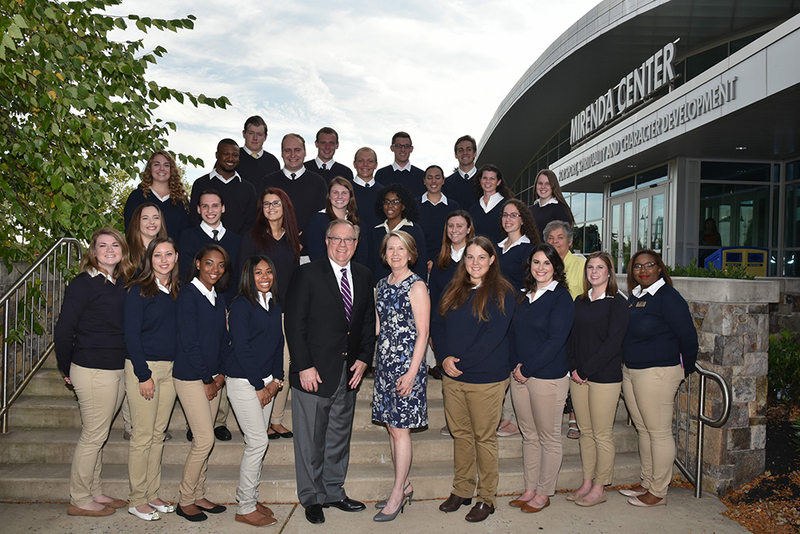 Neumann University ambassadors are students who represent the University in a variety of venues and events usually hosted by the President. Neumann University Presidential Ambassadors are model University students who strive to encourage, among their colleagues, the value of a lifelong relationship with the University and the importance of nurturing relationships with others, for themselves, and for the University. Freshman are encouraged to apply as they enter their sophomore year. The available positions for 2018-2019 have been filled and applications for 2019-2020 will take place in Spring 2019.